When the Samsung Galaxy S 4 was released in the market, praises and clamours swirl in every side of the mobile world. Its plastic design was the talk of the naysayers saying that the device is just a luke-warm bump-off of the previous model. However, bad publicity is still publicity, and the Galaxy S 4 became the fastest selling Android handset to date, even beating the record of the Galaxy S 3. Now, the Korean giant reveals a new variant being described as the "perfect companion for exploration, activity and adventure" called the Galaxy S 4 Active. So if you're complaining with the plastic-ish appeal of the original device, then the new protective cover of this new variant will be in your favor. Just like the othe Active handsets, the S 4 Active will be brushed with a tougher case that is treated with IP67 rating. So users who would love to have their Galaxy S 4 in their outdoor activities and adventure wont have to worry about the infiltration of water and dust in their device anymore. 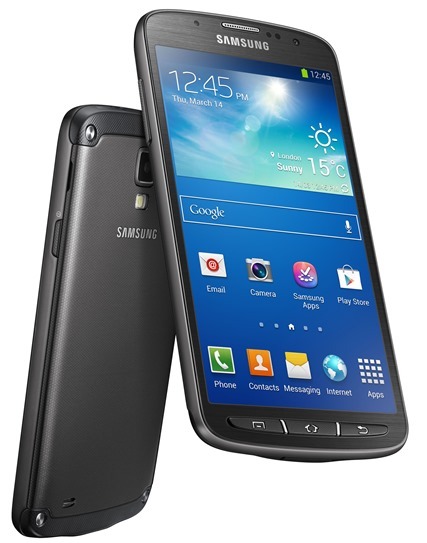 For the specs-centered, the Galaxy S 4 Active will be powered by same 1.9 GHz quad-core, 5-inch Super AMOLED 1080p display, 2600 mAh battery, 8MP camera and Android 4.2.2 Jelly Bean. The device is expected to hit the June 20 Samsung event in London together with the Galaxy S 4 Mini.